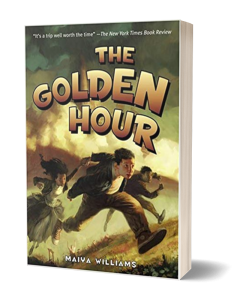 In this third sequel in THE GOLDEN HOUR Series written from Xavier’s point of view, the foursome are given their first mission as Time Trackers; they must find a boy who disappeared on a trip with his father to hear Abraham Lincoln make a speech at a convention. 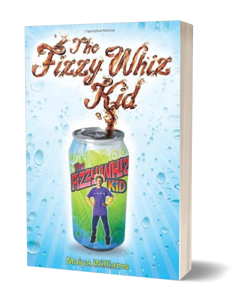 Things take a twist when they find out that the boy is Balthazar Weber, son of Archibald Weber, the mysterious architect of the Owatannauk Hotel and inventor of all the marvelous gadgets within it, including the time machines. They also discover that Balthazar isn’t lost; he ran away out of anger. In his disappearance he also changed history, forcing his father to become one of the phantoms of the hotel, indefinitely imprisoned in time limbo. 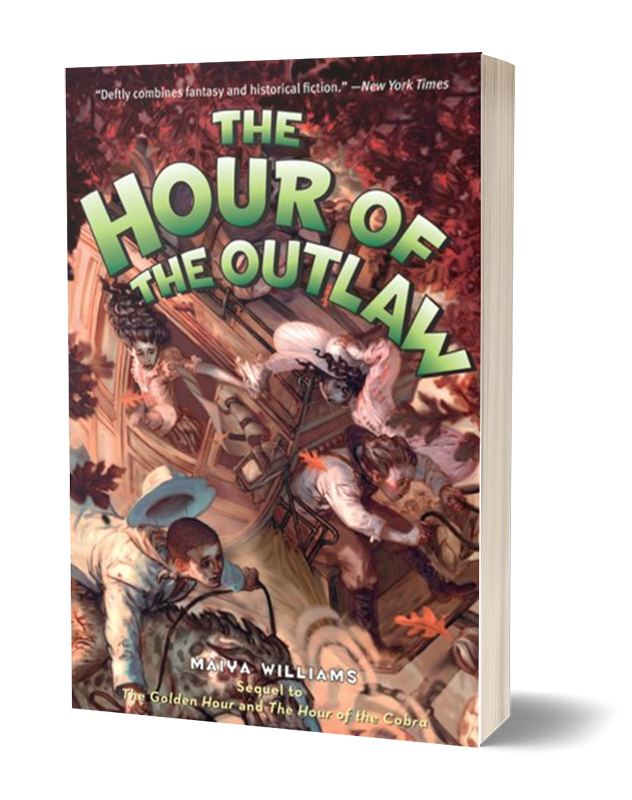 Their search for Balthazar takes them to the California Gold Rush, and they are unprepared for how this area will challenge them. 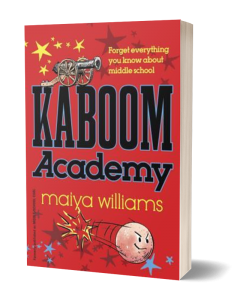 Rowan is tempted by the lure of gold fever, Xanthe finds that she lacks the skills to survive in a nineteenth century Western town, Nina becomes a piano playing sensation in the local saloon. On top of this they have to survive a bear attack, a stagecoach robbery, an Indian horse raid and horrible food. Xavier poses as a stagecoach robber to draw out the elusive Balthazar and discovers why he ran away to begin with. Finding him was the easy part, convincing the wayward lad to return is something else entirely. 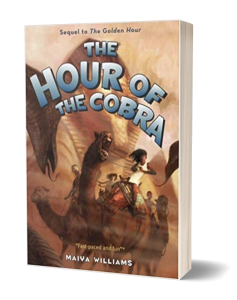 Throughout the adventure, the time traveling foursome find out more about the history of the resort hotel and its inventor that will ultimately determine the hotel’s future. To research HOUR OF THE OUTLAW I visited the Gold Rush Towns along Highway 49 in California. Most of the towns still maintain much of their historical western character, preserving old buildings, marking the route of the Pony Express and providing museums with plenty of old mining equipment, clothing, and other artifacts from that time. The town of Columbia was the best-preserved town. It is in fact a state historic park where docents clad in period costume are on hand to talk about the history of the town. You can see an authentic pharmacy, mining stores, restaurants, hotels, a barbershop, and get a lesson on placer mining. The other most useful site was the Marshall Gold Discovery State Historic Park, the location of Sutter’s Mill, where Gold was first discovered in California. The book I used to help navigate this territory is Traveling California’s Gold Rush Country, by Leslie A. Kelly. Excellent background information about the history of the gold rush was provided by The Forty-Niners edition in the Time-Life Old West series, and The Age of Gold by H.W. Brands. To find out what day to day life was like during the Gold Rush I consulted the Travel Guide To California Gold Country, by Stuart A. Kallen, and The World Rushed In: The California Gold Rush Experience, by J.S. Holliday, a collection of actual letters documenting the adventures of a 49er. Also Mark Twain’s Roughing It is a humorous description of his adventures mining for gold. It was a pleasure reading that! HOUR OF THE OUTLAW was going to be from Xavier’s point of view, so once again I sought a place that I thought would match his personality. The rollicking adventure of the Wild West seemed perfect, primarily because of the rampant tall tales, and the fact that Xavier is a born liar. Xavier remakes himself to suit whatever purpose is at hand, he loves to embellish the truth and he has an ego the size of a barn…the perfect western desperado. Xavier also seeks freedom, independence and adventure…themes that recur in the Gold Rush. The Old West has long been a favorite time period of mine. I enjoy watching movie Westerns, I love the stories, the landscape, the smell of sagebrush, tumbleweeds and dust, and of course I love horses. I will probably revisit the Old West in future projects!